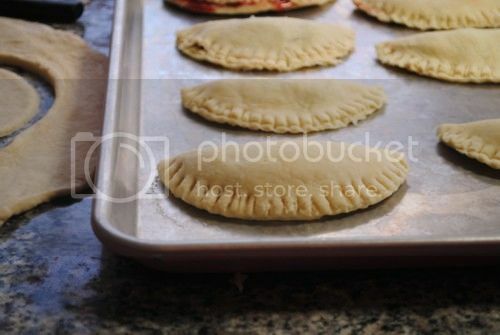 Today our amiga Vianney of Sweet Life Bake shares a recipe she and her daughter came up with for Strawberry Empanadas! … Read the sweet introduction written by Bonnie’s daughter, Angelica and then onto the sweet recipe! This weekend after she sent my Dad to the grocery store, which I knew was a mistake, we ended up with a ton of strawberries. My Mom said we should make empanadas and we did. They came out great and my Dad said they were the best he has ever had. Gotta love Dads. Cook until brown sugar dissolves and strawberries become thickened about 15 minutes. Move filling to a bowl and cool to room temperature. Add the flour, salt and piloncillo into a food processor, pulse twice to combine. Add butter, cover and pulse eight or nine times until butter and flour combine to the crumbly texture. Add the ¼ cup of milk and pulse twice. Continue to add milk and pulse until dough comes together. Method: If the dough does not combine continue to add milk. Remove dough and knead into a ball, wrap in plastic and refrigerate for at least 2 hours or overnight. On a large work surface and lightly dust with flour. 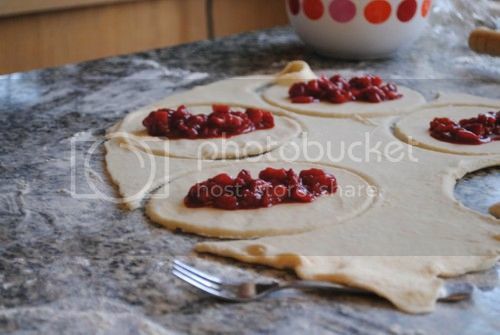 Roll dough and cut into 4 inch circles. If working on a small surface cut dough in half. Roll into a smaller rectangle and cut your circles. Spoon 1 tbsp of filling in center of circle. Brush one edge lightly with water and fold the dough over. Using a fork seal edges, transfer to ungreased baking sheet and brush with egg wash.
Bonnie Rodriguez (aka as Vianney) is a proud Texan, Latina and mom who enjoys spending time in the kitchen with her kids. Join her as she dishes up her favorite meals at Sweet Life Bake. my sweet sweet little niece . your holding out on me. you shower me with cookies and cakes when i visit but these look delicious and cant wait till i try them. Nice idea for a great morning breakfast that I know that my picky little eaters will for sure try. cant wait to see what you got next . I’m so exicted to try these out love strawberried and empanadas. Dear goodness, that looks delicious! I love baking with my kids in the kitchen, thank you for sharing a great recipe. I tried the chick pea cookies Angelica made last time, they were a hit! You’re doing a good job with that one, mama! Mmm, and those look like those fruit pies I like to buy at convenience stores – only homemade and probably somewhat healthier. LOL. Beautiful photos! Have a great family weekend! My big purchase this year was a standing mixer which means… drumroll… I can now make dough. WOOT!! Come to me my little strawberry empanadas…. I have eaten my share of pumpkin empanadas, but strawberry. I would love to try these. berry season is here, why not. Thank you for sharing. we love Sweet Life. These look delicious! Great recipe. How happy to see Sweet Life featured, I love her blog. another wonderful family recipe. 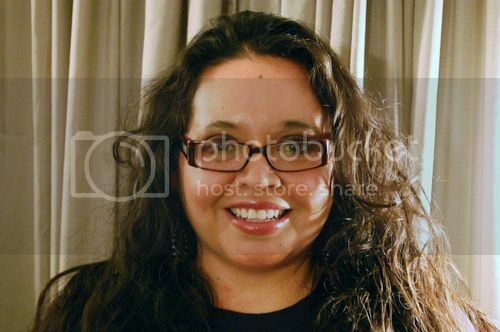 thanks Spanglish Baby for showcasing one of my fav bloggers! How fantastic! These look wonderful and Bonnie you must be so proud of Angelica! These look fantastic and you must be so proud of your daughter! I am hoping mine will embrace cooking and baking at some point! I have my grandaughters for the summer and I am sure they would love to try these berry empanadas. Thank you for the recipe, I love visiting Sweet Life blog. I am printing this to add to my grocery list. Que rico, my grandmother used to make us empanadas every winter, but pumpkin. Nice to have a strawberry version. Happy to see children in the kitchen, hope to see more recipes from Kids. Ooooh those look too good! & I love Chuls, and all the stuff you guys get up to in the kitchen <3. Oh, and Bonnie you're gorgeous! What an awesome dessert from a 11 year old! Well done, Angelica!! I would love to see more from you You are going to bake and cook very well like your mom. I love her blog. Bonnie, you are an awesome mom! These look delicious! I want to make them! An 11yr, how impressive. How amazing to see mother’s in the kitchen with their kids. Great concept cooking with kids. How cute, I was searching for a recipe for empandas and stumbled across Spanglish Baby, i love having a recipe from an 11 yrd old. The pictures are amazing. great feature. Great post! I love to spend time in the kitchen with my daughter too! Other than fetching stuff for me and mixing by hand, I can’t wait for her to become of age to get her hands more dirty in the cocina! You have every reason to be a proud mom! These empanadas are mouthwatering and delish! Congrats mija! They look sooo good! You and your mom are so talented. So excited to try with my kids. looks delicious!!!! Thank you all for your lovely comments and Thanks to Spanglish Baby for featuring us!! These are well done. Nice job. However to be an authentic Mexican Strawberry Empanada it has to use Mexican Cinnamon otherwise known as Ceylon Cinnamon. The taste and smell is very different. ages and yours is the best I’ve found out so far. But, what about the bottom line? 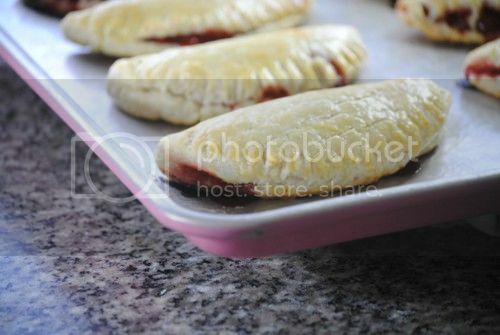 Tags: empanadas, fresas, mexico, receta, recipe, strawberry, U.S.